Working with local farmers to connect them with buyers for their products has been a core mission of FamilyFarmed since its inception. 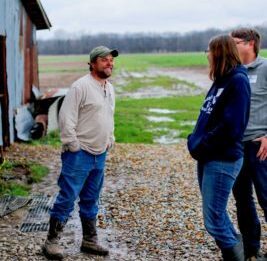 Helping farmers scale up by improving their skills and adopting best practices is the core of FamilyFarmed’s nationally renowned Farmer Training program. Over the past two years, FamilyFarmed has taken these efforts up a notch by creating a formal Market Development department, headed by director Jay McGhee. The following article, which highlights the impact of our Market Development efforts, underscores the fact that the “farm” in the name of FamilyFarmed remains central to the mission of our nonprofit organization. Your tax-deductible donations to our Year-End Annual Appeal are crucial to our ability to expand Market Development and our other impactful programs such as the Good Food EXPO, Good Food Accelerator, Good Food Financing & Innovation Conference and Good Food Is Good Medicine. 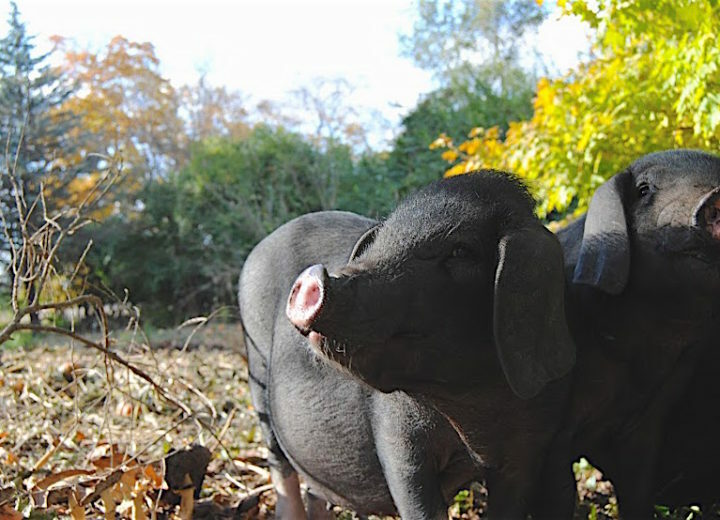 Please visit the FamilyFarmed website to make a donation, and read on to see how valuable your donations are. Harold Wilken grew up in the conventional farming culture of east-central Illinois. He was definitely an outlier in 2005 when — convinced of both the health and environmental benefits of sustainable farming — he started growing organic grain on Janie’s Farm, named for his daughter who had lost her life in a car accident when she was 15 years old. 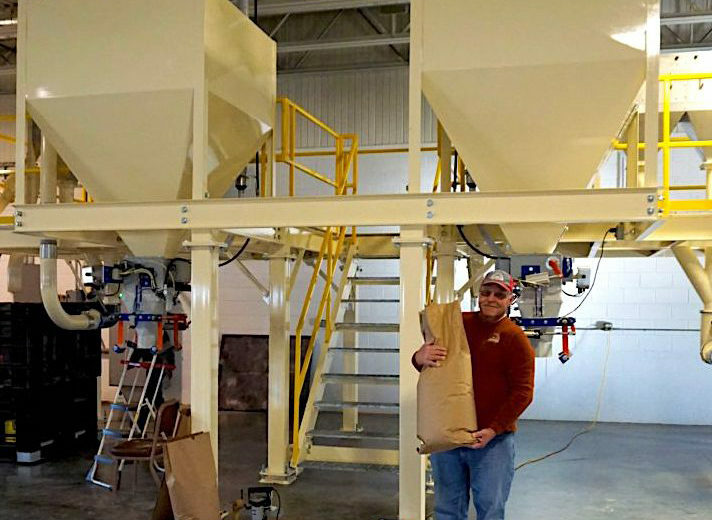 That bold decision made Wilken’s grain a sought-after commodity in recent years, as the rapidly rising consumer desire for locally and sustainably produced food is spurring increased demand for organic grain and flour among bakers, distillers, brewers and retailers. This demand enabled Janie’s Farm, located in Danville, Illinois, to scale up; inspired Wilken to establish The Mill at Janie’s Farm in nearby Ashkum; and established Wilken as a leading local advocate of transitioning grain production to organic. Wilken says that over the past several years, the acreage dedicated to organic grain growing in Illinois’ Iroquois County increased seven-fold. These farms are still organic islands in a sea of conventional grain, so there is much room for growth. And FamilyFarmed’s Market Development program is helping Good Food farmers such as Wilken connect with new customers and expand their businesses. 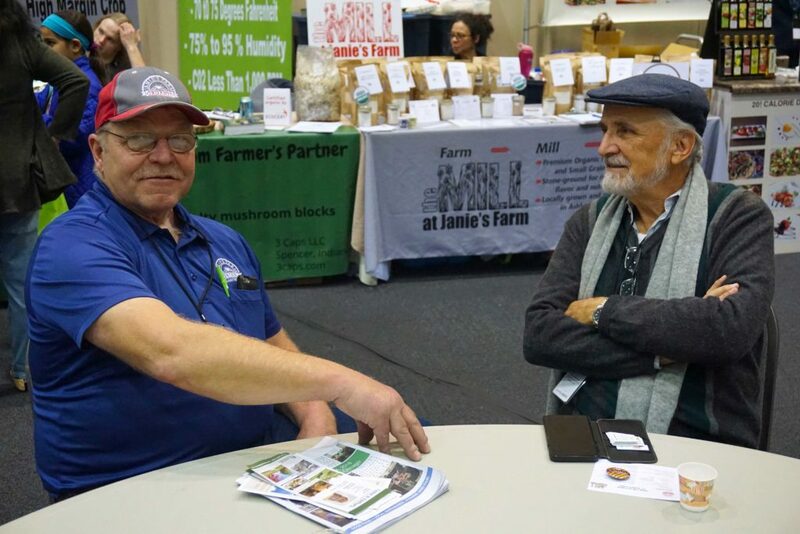 FamilyFarmed Market Development facilitated discussions between Wilken and Markus Schramm, owner of Manna Organics, which bakes delicious breads with organic sprouted grain in Lisle, Illinois. Schramm — a former member of FamilyFarmed’s Board of Directors — was seeking a reliable source for high-quality local organic grain, and found a kindred spirit in Wilken. The more connections FamilyFarmed Market Development can facilitate between producers and buyers, the faster the amount of Good Food available to consumers will grow. Your tax-deductible donations to help us carry out this important mission are greatly appreciated. FamilyFarmed Farmer Training was officially launched in 2008 with the publication of a 300+-page manual titled Wholesale Success: A Farmer’s Guide to Food Safety, Selling, Postharvest Handling, and Packing Produce. 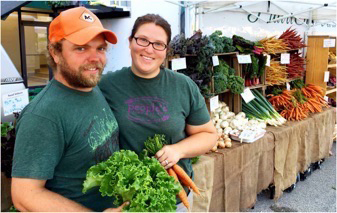 The program was expanded in 2017 to include trainings based on a new manual, titled Direct Market Success, aimed largely at young and other beginning farmers selling mostly through farmers markets and CSAs, and an On-Farm Food Safety binder packed with information on best practices to reduce the risk of foodborne illnesses. Over this past decade, FamilyFarmed has trained more than 14,700 farmers, working with partner organizations in 43 states. The vast majority of these trainings have taken place in indoor workshops. But attendees at a Farmer Training in Illinois in March 2017 got a special learning experience by touring PrairiErth Farm, a highly regarded organic vegetable-growing operation in Atlanta, Illinois that was founded three decades ago by Dave Bishop and is now run by his son and daughter-in-law, Hans and Katie Bishop. The Midwest Organic & Sustainable Education Service, known as MOSES, presented the Bishop family and PrairiErth with its Farmer of the Year Award in 2017. Katie Bishop today speaks highly of the Farmer Training experience, not only because they were able to share their own insights, but also because of what they learned from Atina Diffley, the longtime organic farmer from Minnesota who is the program’s longtime lead farmer-trainer. The couple subsequently toured a number of farms to observe their facilities before upgrading PrairiErth to a state-of-the-art packing shed. Importantly, FamilyFarmed Farmer Training is not only about best practices in growing and handling farm products. In a highly competitive and fluid consumer market for food, farmers need to know how to sell as well as how to grow if there are to succeed. At FamilyFarmed, we strongly believe that the growing demand for delicious food, produced as locally as possible using sustainable, humane and fair practices, can generate jobs, hope and opportunity for people in need. Recently, we became aware of a profound example of how our Farmer Training program helps make that happen. The Illinois Stewardship Alliance shared a letter written by an inmate who is scheduled to be released soon from Illinois’ Danville Correctional Center. The man intends to turn his life around as a market farmer, and the Alliance provided him with copies of FamilyFarmed’s Farmer Training manuals. We hope that it won’t be long before we’ll be able to sample this man’s farm products. Maybe there is even a FamilyFarmed Farmer Training workshop in his future. This nation needs more Good Food — and more Good Food farmers. Your generous tax-deductible donations will help our nonprofit organization sustain and grow programs such as Market Development and Farmer Training. Please visit the FamilyFarmed website to make a contribution.